Save time and increase your customer satisfaction by managing table, suite and appointment booking in one place. Track your customer history and behaviour regardless of the channel of enquiry or booking – email, phone or online. You can track your customers spend history, preferences and detailed activity such as no-show rate and favourite items all the way from an online booking to the Point of Sale software. Our online takeaway ordering was built as part of our POS solution. It acts as an extension of your POS unlike many standalone solutions which have no integration or basic, buggy integrations. Allow your customers to view availability and book a table online easily. The process is fully customisable for your business requirements. Match customer phone number or email to their profile and see their booking, order, rating and no show history as well as management notes. If your phone, email and online bookings are in multiple locations – a paper ledger, your inbox or a shared spreadsheet – managing reservations can be difficult and time consuming. 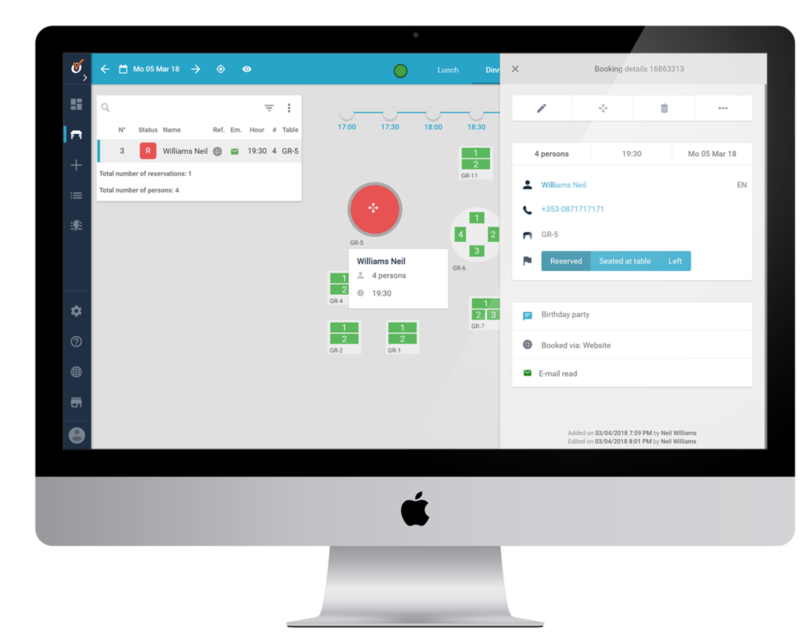 Log into the management console and manage everything in one place. Set rules for automated emails – confirming, reminding and thanking guests for their booking. See all your historical communication with guests in one place.